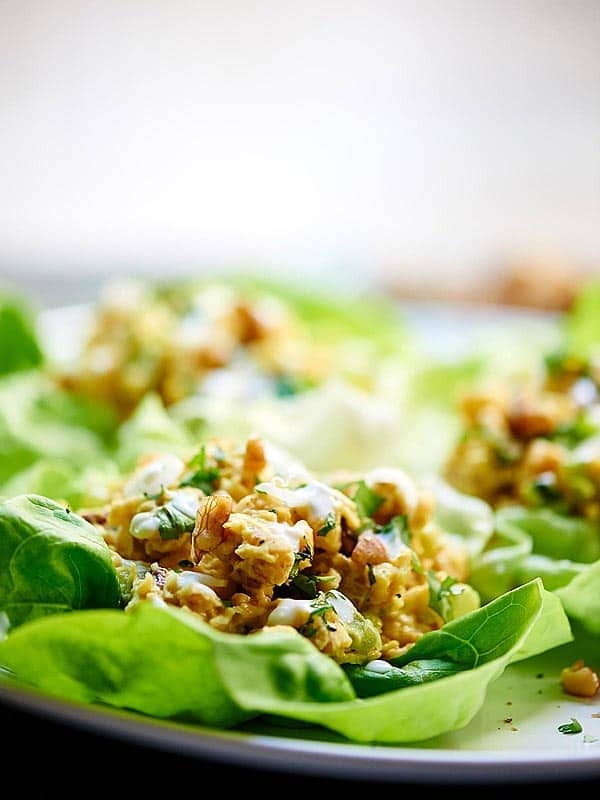 These healthy chickpea lettuce wraps are so quick and easy to put together, taste great, are vegetarian, and of course, are super healthy! It’s another Meatless Monday over here at SMTY! As we told you guys last Friday, we had friends staying with us for two weeks that are vegetarian, so I thought it would be a fun experiment for Trevor and I to be vegetarian along with them! 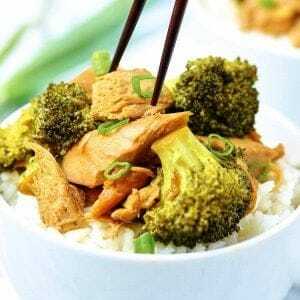 Trevor is definitely a meat lover, so in order to keep everyone happy, I needed to come up with some hearty, yet healthy vegetarian dishes. That’s where these Healthy Chickpea Lettuce Wraps come in! When you think of lettuce wraps, hearty probably isn’t the first word that pops in your mind. Thoughts like “I’m still staaaaarving” are more likely. But not this time! 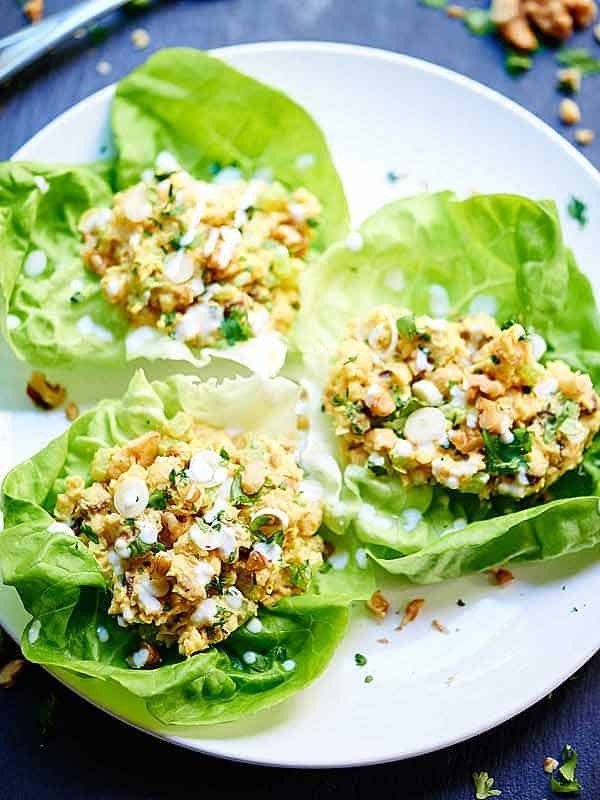 I bulk up these healthy chickpea lettuce wraps with filling chickpeas and crunchy walnuts; both filled with protein and healthy fats to keep you full and s.a.t.i.s.f.i.e.d! 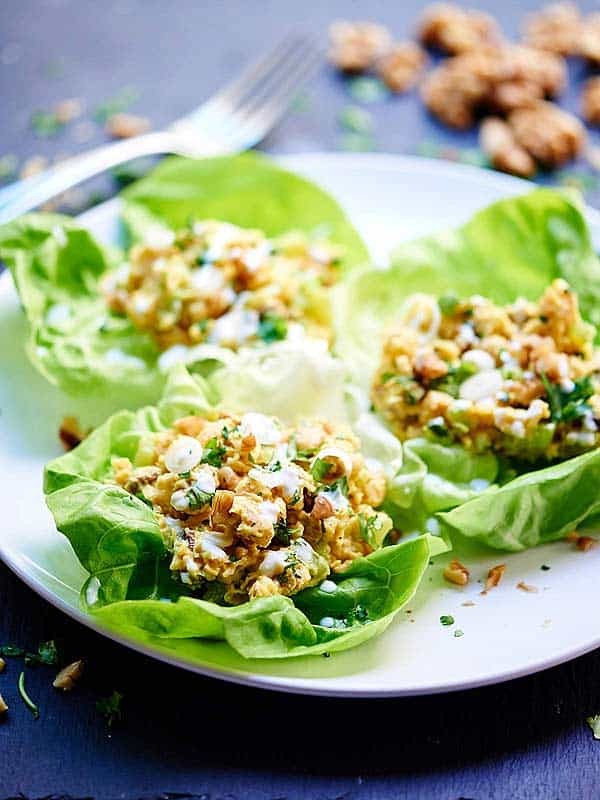 These healthy chickpea lettuce wraps have a nice “pop” from the chickpeas, crunch from the walnuts, crispness from the celery, and a nice chew from the raisins! I haven’t even told you about my favorite part of these lettuce wraps, though! Ok fine. I have two favorite parts. 1. They’re super fast and easy to put together. I know. I KNOW! I say that a lot, but you know I don’t lie to you. If you watch our video (up there 👆) you’ll really believe me. 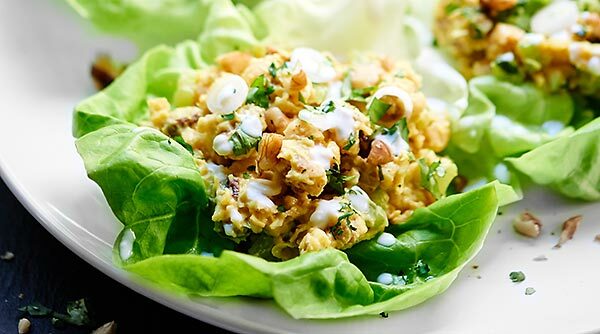 All you need to do is mash up half a can of chick peas, whip together a quick, yummy sauce of greek yogurt and some spices, chop up celery and walnuts, and stir it all together! 2. 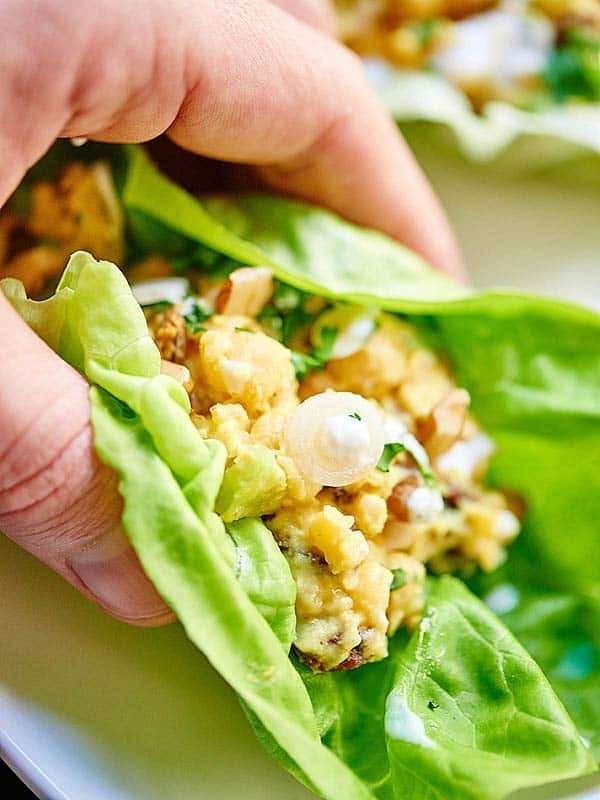 These aren’t just Healthy Chickpea Lettuce Wraps…these are actually Healthy Curried Chickpea Lettuce Wraps! I had a HUGE craving for some Indian food, but could NOT wait for delivery, so I threw in a little curry powder and called it a day. The flavor combo of these wraps are the bomb [dot] com. 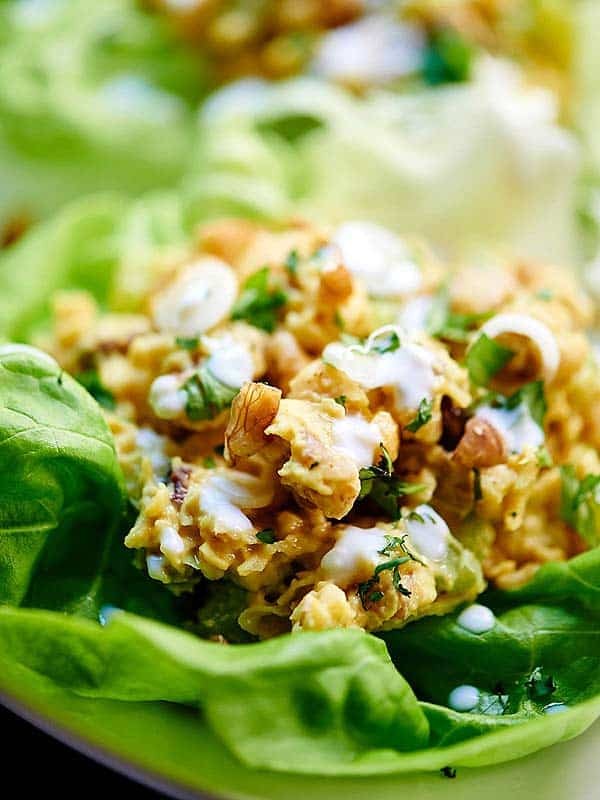 Tangy greek yogurt + sweet raisins + fresh celery + nutty walnuts + curry powder = the most flavorful, non boring lettuce wraps. Ever. I’ve actually never seen Trevor so bummed about missing out on taste testing lettuce wraps before when I gave them all away to the girls. Don’t feel too sorry for Trevor though, because I’ve made these lettuce wraps at least 3 more times. Why? Because Seattle was going through this C.R.A.Z.Y. heat wave! It was actually kind of bizarre…the girls stayed with us for two weeks. Before they got here the weather had been perfect, warm, but not too hot, and perfectly sunny. The entire time they were in Seattle, it was 90 degrees almost every day! It reminded me a little too much of Iowa’s hot and humid summers. To cool us down, we had plenty of watermelon sangria, lettuce wraps, salad, more watermelon sangria, aaaaaaand more lettuce wraps. 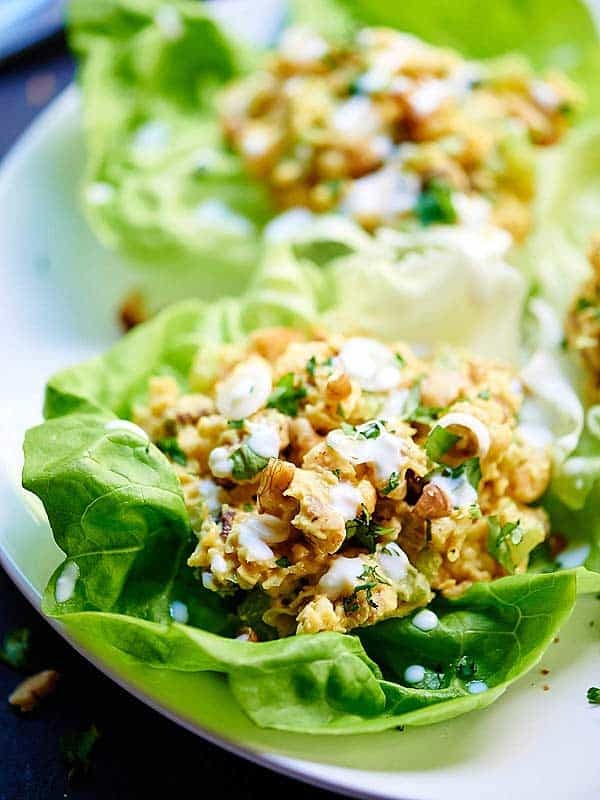 I’m glad I got my fix of these healthy chickpea lettuce wraps, because now that the girls left, it’s like they took our warm weather with them! It was, liiiike, 70 degrees yesterday…time to whip out my fleece, again! Enjoy! Healthy. Easy. Quick. And deeeelicious. What’s your favorite “cooling” summer dish? Show me the yummy! I use this potato masher and ♡ it. In a medium sized bowl, mash half a can of chickpeas using a potato masher. Once they're mashed, stir in the other half can of whole chickpeas and set aside. In a small bowl, mix together the sauce ingredients: mayo, greek yogurt, lemon juice, curry powder, and salt. Pour the sauce over the chickpeas and stir in the raisins, chopped celery and chopped walnuts. Cover the bowl with saran wrap and let chill in the fridge until cold, about 30 minutes. 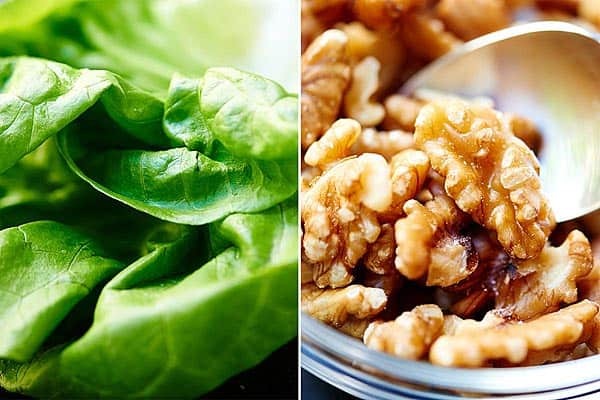 Once chilled, spoon the mixture into each lettuce leaf and top with thinly sliced green onion, finely minced cilantro, and more chopped walnuts! I also like to drizzle these with a little extra greek yogurt. Made these for my family. They were very good and more yummy the next day! Thanx for the recipe for our sunny summer day!! Hi Joy! Thanks for letting us know 🙂 I’m so happy you loved the wraps!